Your boat is a reflection of you. When it shines, you shine. 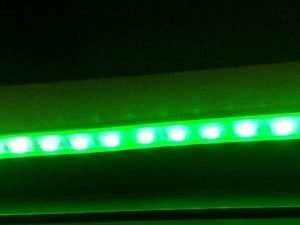 So when it is time to upgrade your boat lighting why settle for low-quality lights that won’t perform? 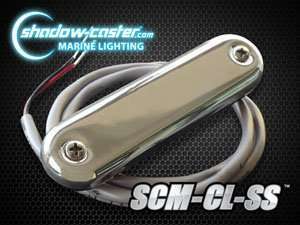 Shadow-Caster LED deck lights are built in the U.S.A. for boaters by boaters. The compact design is almost invisible during the day. But at night, they allow you to transform your boat with awesome lighting effects that you control. 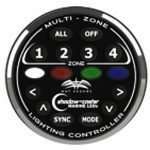 The Shadow-Caster 4 Zone Controller, or now the Garmin® OneHelm, put you in complete control of all your LED underwater and LED deck lights. All in four separate zones that you control by themselves or all together. 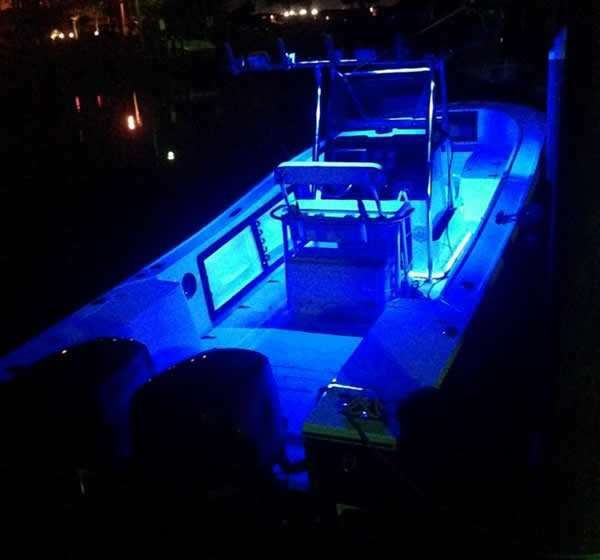 Whether you are out for a night of fishing, cruising with friends, or spending a romantic evening under the stars, Shadow-Casters LED deck lights perform like no other lights can. White Powder Coating is harder and tougher than paint. Won’t scratch, chip, or fade. Glass lens stands up to the elements and will never yellow. At only 2″ across and less than 1/4″ thick, the SCM-DL will fit almost anywhere. Are you tired of bruises on your legs from courtesy lights that are always in the way? 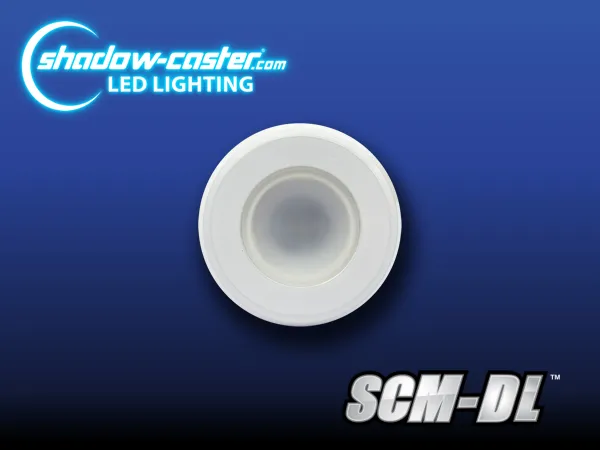 At less than 1/8″ thick, Shadow-Caster LED Courtesy lights are so thin you will forget they are there! Until you need them of course. The SCM-CL is perfect for lighting steps, accessory boxes, storage compartments, and even your livewell. They are submersible, with an IP65 rating, and measure only 3″ long x 0.78″ wide x 0.1″ thick. 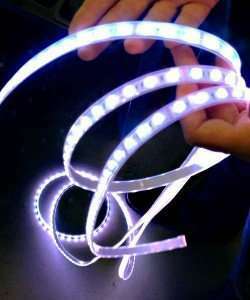 They come in your choice of colors, Bimini Blue, Aqua Green, Cool Red, Great White, and even color changing (RGB). You even get your choice of a white housing, to blend with your gel coat, or stainless steel if you want something dressier.